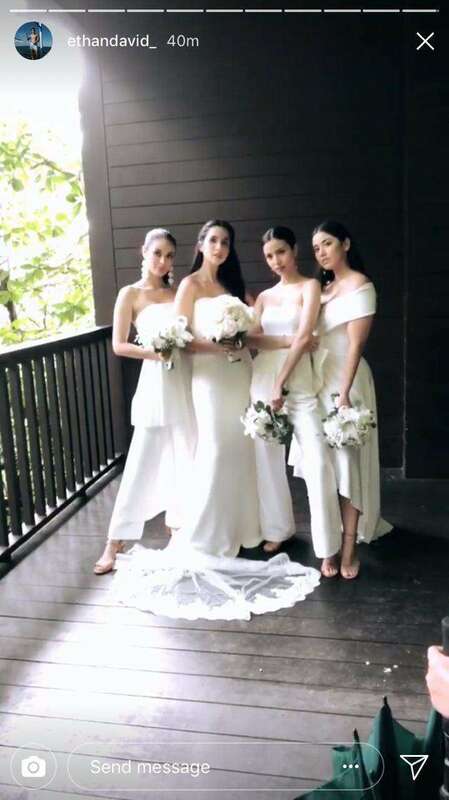 Maxene Magalona is marrying her fiance Rob Mananquil this afternoon (January 11, 2018) at the Shangri-La Boracay. 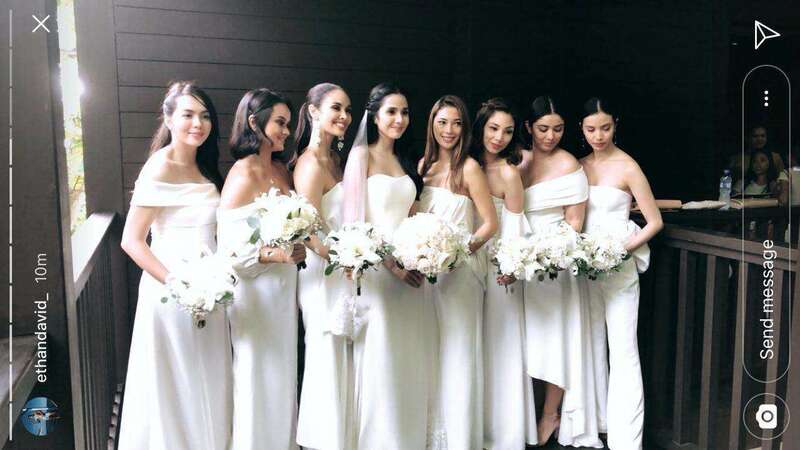 Before she walked down the aisle, Maxene and her entourage posed for some quick pictures. 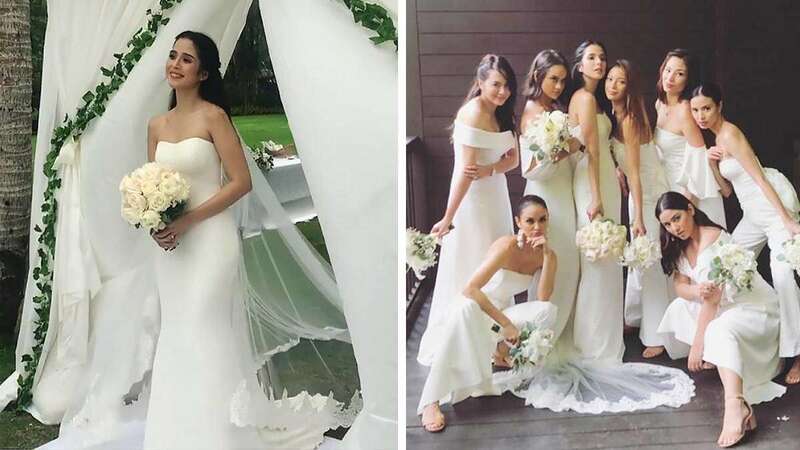 The bride and her bridesmaids (Julia Montes, Megan Young, Lauren Young, and Janna Tee, among others) wore minimalist white gowns with classic silhouettes for the outdoor wedding. 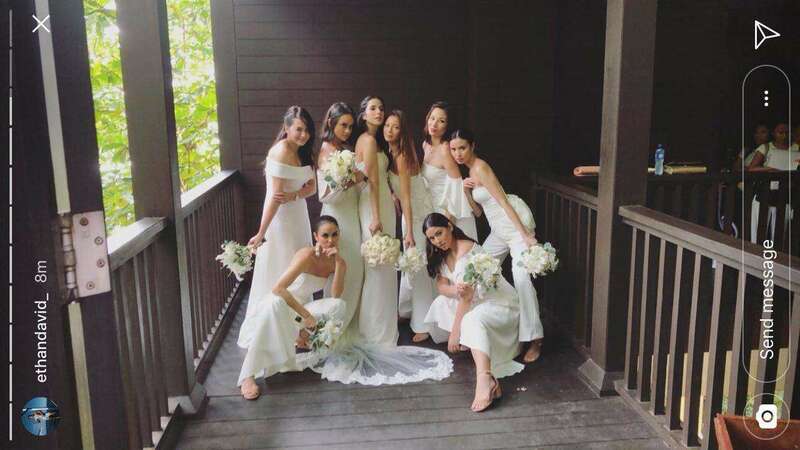 If you look closely you can notice that Maxx is wearing veil along with her strapless corset Vera Wang wedding gown and lace train. We can't wait to see a better pic up close! Best wishes, Maxx!